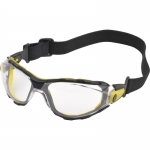 Univet 602 goggles. 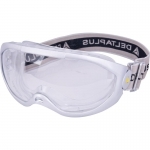 Indirect ventilation safety goggles. 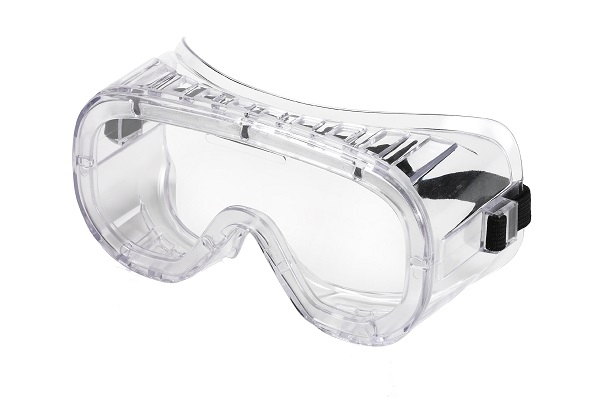 Clear impact resistant polycarbonate lens. Soft PVC frame. Adjustable elastic band. Can be worn on their own or over prescription glasses. Lens marking: 1 B N. Anti-fog coating (AF).